Posted on March 13, 2018 by John Novosel Jr.
Tiger is looking great with tempo’s around 21-22 frames going back and 7 frames going down. 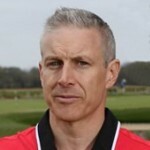 Let’s see if he can maintain his Tour Tempo when the pressure is on as the major season approaches. The other good news for Tiger is that he’s playing by ‘feel’. The rumor on the street is that he’s not thinking during his swing and he’s playing golf, whereas before he was playing ‘golf swing’. When Tiger can play with his subconscious and just let loose, he will be hard to beat. The point here is that he’s got plenty of speed to compete and he has his Tour Tempo back… mix in ‘playing with feel’ and lookout for TW in 2018! 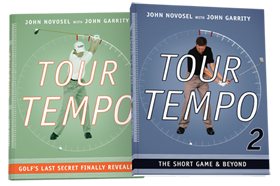 The Tour Tempo app is a perfect compliment to Gio Valiante’s “Golf Flow” book which de-emphasizes swing thoughts in favor of choosing a target, staying in tempo, and taking a fearless swing. Works for me!